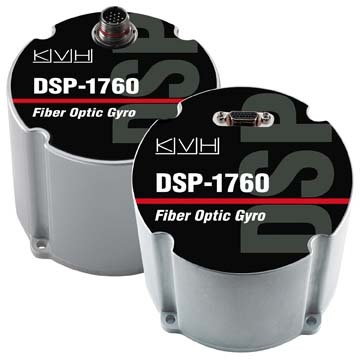 KVH Industries, Inc., of Middletown, Rhode Island, has introduced its new CG-5100 inertial measurement unit (IMU), which combines KVH fiber optic gyros (FOGs) and microelectro-mechanical system (MEMS) accelerometers to measure roll, pitch, and yaw angular rates and accelerations. The strap-down inertial subsystem offers 6-degrees-of-freedom measurement and a roll/pitch/yaw bias of ±1 degree per hour, 1 sigma, according to the company. The acceleration accuracy for an x/y/z input range of up to ±10 g includes a bias zero offset maximum of ±50 mg, scale factor error of 4,000 pppm (1 sigma), and a frequency response of 50 Hz. According to KVH, the CG-5100 achieves this performance by employing proprietary algorithms to a fully combined digital gyro and accelerometer output, enabling the system to characterize and correct for the effects of temperature and misalignment. It also offers the end user an easy-to-adapt output in a fully digital, user-selectable RS-232/RS-422 format. The CG-5100 is KVH’s second commercial single-enclosure measurement and navigation solution. 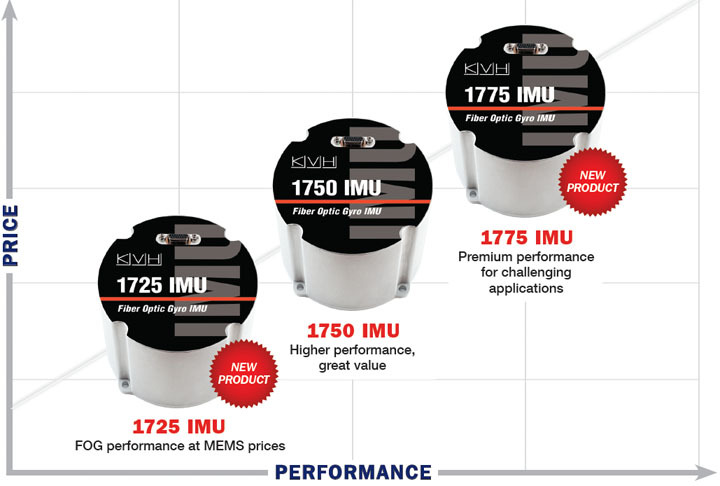 For applications that need both GPS and FOG-based IMU capabilities, the company offers its CNS-5000 GPS/IMU, which combines a FOG-based IMU with NovAtel’s OEMV3 precision GPS receiver technology.